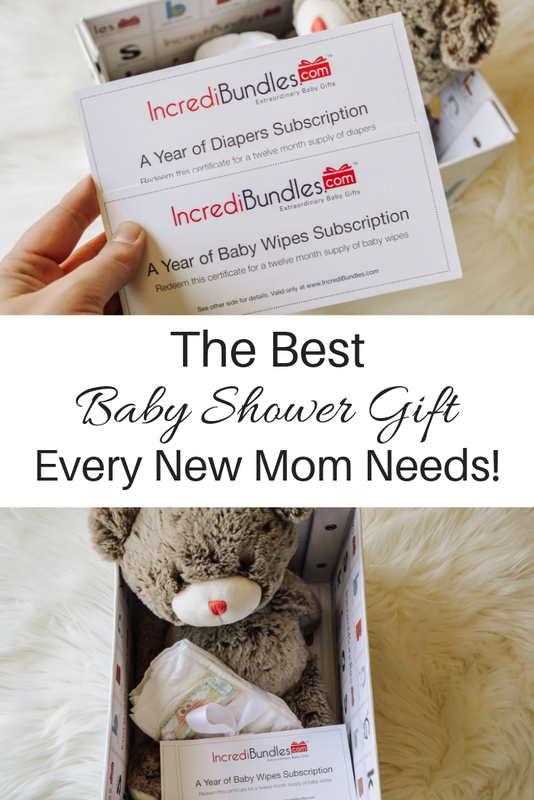 Disclaimer: This baby shower gift ideas post is sponsored by Incredibundles. All opinions are my own. I think we all can agree that the first year of motherhood is incredibly hard. It goes without even saying that it’s exhausting, frustrating, surprising, and expensive. Whenever I get invited to a baby shower my first thought is, what can I get for her that she actually needs? At my baby shower I got a lot of cute baby clothes, cute little toys, bath products, and a few select “gear” items for the nursery. For my second, my Mother in Law threw us a diaper bomb once Oliver was out of the NICU. And to be honest, the diaper bomb was where it was at! Diapers are so expensive! If I ever do it over again, a diaper bomb is all I’ll need. So when thinking about what to give a new mom that will really be helpful to her in the long run, diapers and wipes definitely come to mind. But how can you buy enough diapers and wipes that it can actually be significant? 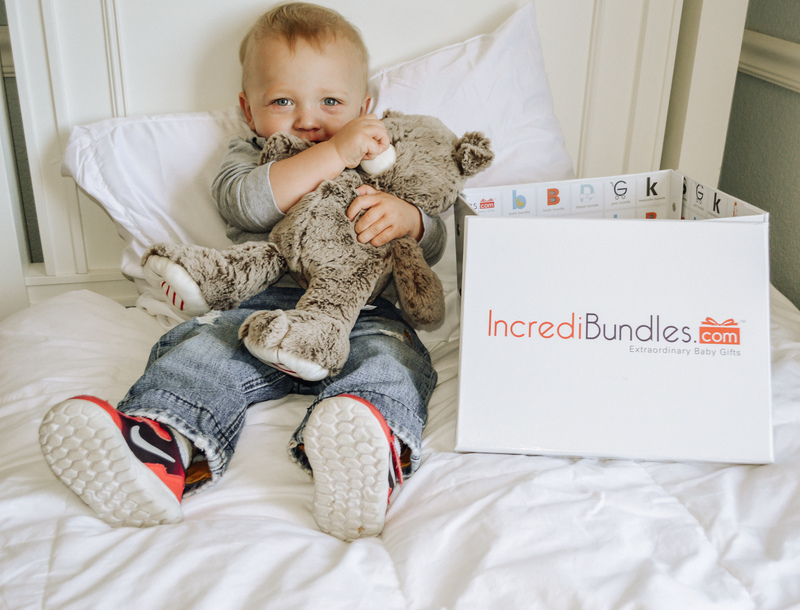 That’s why I was so excited when I stumbled across Incredibundles Baby Gifts. 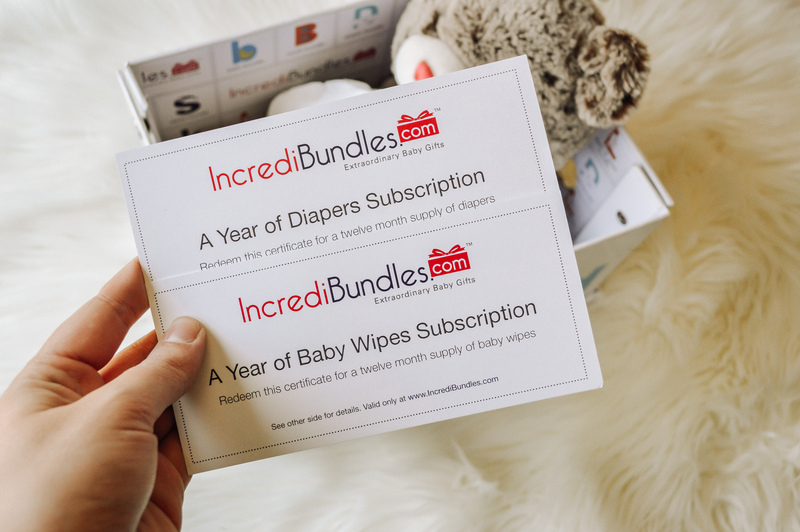 With Incredibundles you can actually give a diaper and wipes subscription as a gift! 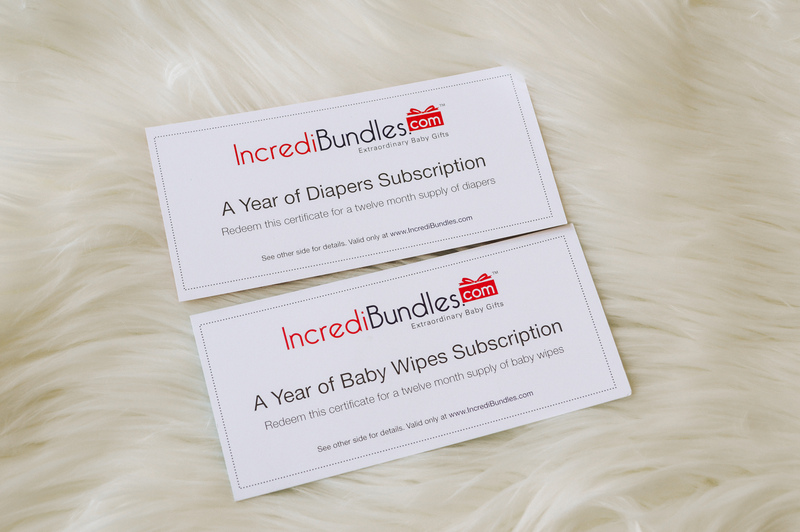 Incredibundles offers 3 month, 6 month, 9 month, and 1 year subscriptions. And the best part? Mama gets to redeem them herself and choose exactly which brand and size she wants! If Mom prefers Luvs, she can get Luvs. If she prefers Pampers, she can get Pampers. If she has a toddler in pull-ups, she can even get pull-ups! Can you imagine being an expectant mom and receiving a whole year of diapers? What a blessing that would be! 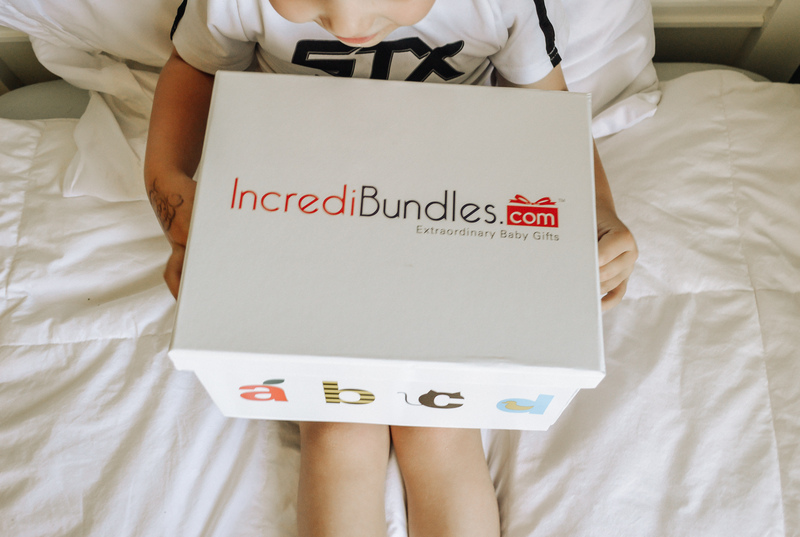 To get started, head to incredibundles.com and pick out the subscription you would like to send to your friend (remember there are 3, 6, 9 month, and 1 year subscription options). Next, your friend will receive their announcement package! Or, if you would prefer, you can have the announcement package sent to yourself, wrap it up, and bring it to the baby shower to give in person! 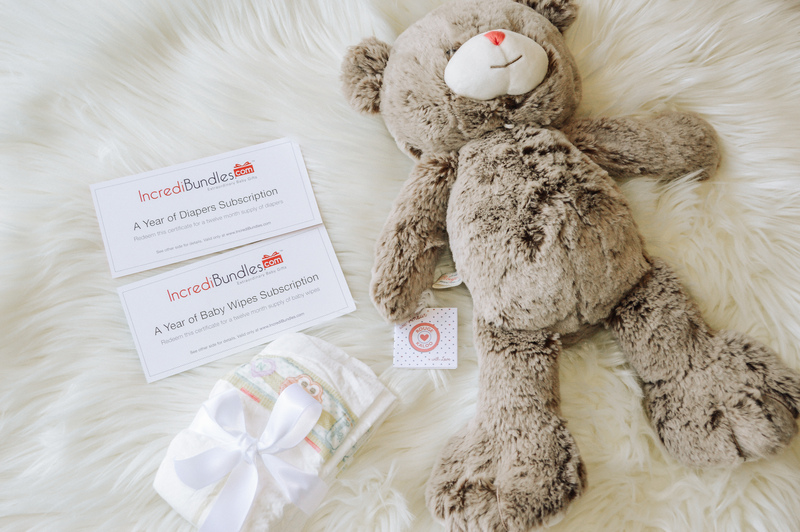 Inside the announcement package is an adorable teddy bear, a cute bundle of diapers tied with a ribbon, and gift certificates for the bundle(s)! Finally, your friend will go online and redeem their subscription. Like I said above, they’ll get to choose which brand of diapers and what size they want. 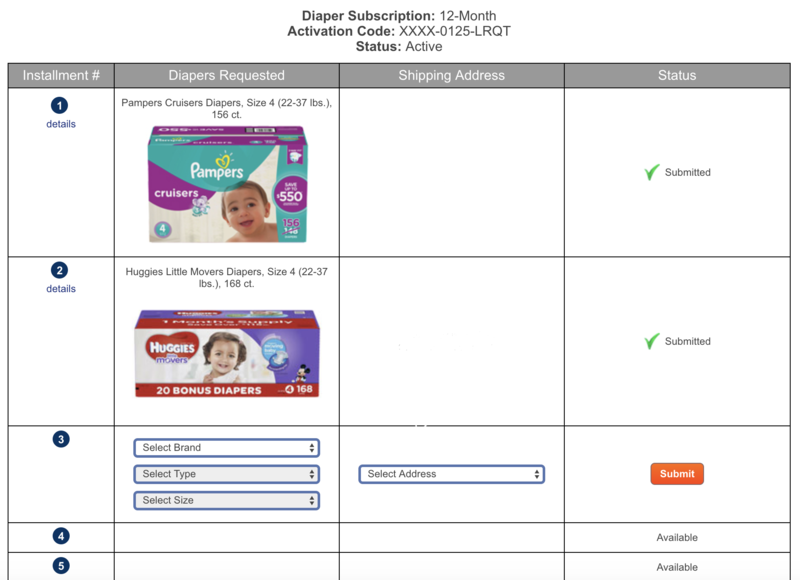 The diapers will ship once per month for the duration of the subscription. This service is amazing. I can’t even imagine what a difference something like this could make in a new mother’s life. It would be so great to not have to worry about running to the store at midnight when you run out of diapers. You’ll have a 30 day supply delivered right to your door every month! I’m also hosting a giveaway! Head to my Instagram to enter to win a 3 month diaper subscription for you or a friend! And be sure to check out the video and subscribe to my YouTube Channel! Loving these baby shower gift ideas? Click here now for more of my parenting essentials!